A big weekend as fixtures still to be completed – mainly from last week – to take place for our Clydesdale & Clydesdale Western teams. 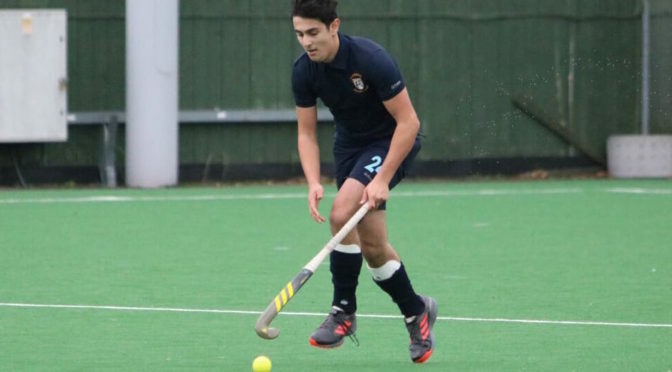 Clydesdale Men’s 1st XI head in to a crunch weekend of Men’s National Division One fixtures with back-to-back visits to Edinburgh in which they will play Watsonians and Grange. ‘Dale were due to play Grange last Saturday, but saw the clash being postponed due to the snowy conditions that took place. Before the two sides meet, the M1s will play on Saturday against Watsonians at Peffermill from 1.00pm. Then on the Sunday, Clydesdale and Grange will lock horns from 1.30pm at Fettes College. The M1s are in a five team battle to finish in a top four spot in MNL 1, with Uddingston in the box seat courtesy of a better goal difference than the next highest placed team in Hillhead. Clydesdale and Edinburgh University are two points behind, with the latter sitting higher also due to a better goal difference. Watsonians are a further two points behind in eighth place. The last time the M1s played Watsonians was back in November – the Edinburgh side produced a stunning response to a halftime goal deficit to win 5-1 at Titwood. Clydesdale will then face Grange the following day, with the champions needing a point to seal the league crown for the second season running. Clydesdale Western 1st XI will be hopeful of results going their way heading into this weekend’s fixtures against Watsonians and Grange EL respectively. Tuesday night’s 4-1 win away to Grove Menzieshill moved ‘Dale Western up to second in Women’s National Division One, leaving them two points off league leaders Edinburgh University. The L1s will require a favour from elsewhere but must also win their remaining games starting with a home fixture on Saturday against Watsonians. The last time the two teams played, Clydesdale Western sealed a 3-1 away win. ‘Dale Western will then face Grange EL the following day at Fettes College from 3.00pm. The fixture was originally scheduled for last Saturday but, like the M1s, was postponed due to the weather conditions. The L1s will hopefully be boosted with the inclusion of Jen Eadie to the weekend’s squad, who returns following a wrist injury which had left her on the sidelines prior to the weekend. Ten more games are taking place for Clydesdale and Clydesdale Western teams, with the latest being on Wednesday night. The M2s will play their penultimate game of the Men’s Regional Division One season away to Inverleith 2s from 1.30pm. The M3s will have a tricky test when they play Men’s West District Division 1A league leaders Hillhead 3s at Old Anniesland from noon. The M5s complete Saturday’s men’s fixtures with an away trip to Helensburgh where they play Oban 1s, 2.00pm PB. The M4s have a Wednesday night fixture at Eastwood High School to play Giffnock 2s from 7.15pm. The L4s have a double header of games, starting with Troon 1s away at 1.00pm on Saturday, before playing Western Wildcats 2s on Sunday from 1.30pm. The L6s will be at the same venue as the L4s on Saturday and will play immediately after them at 2.30pm – with the opposition being Troon 2s. The L3s are at home to Grove Menzieshill 2s in Women’s Championship Division One from 2.00pm, whilst the L2s in the same league play away to Stirling University 1s at 12.30pm. The L5s are also away to face Uddingston 2s from 1.00pm.